Upper Rogue River near Medford, Oregon has a small Tour Boat operator Rogue Jet Boat Adventures (541) 414-4182 for reservations. Middle Rogue River at Grants Pass has a large Tour Boat operator in Hellgate Excursions (541) 479-7204. Lower Rogue River Tour Boat operators Jerry’s Rogue Jets and Mailboats (541) 247-4571 book trips out of the same office in Gold Beach, Oregon. Rogue River Country is littered with hiking and Biking trails. From the many mountain trails to the hidden beaches of the Oregon Coast. Visit our Hiking and Back Country page for more detailed information. Rogue River Country has great whitewater rafting. Upper Rogue River near Medford and Ashland Oregon. The rafting trips here are 3 to 4 hour day trips from just above Shady Cove to Gold Hill Oregon. Raft rentals and outfitters are available at Shady Cove on Hwy 62 on the way to Crater Lake National Park. Middle Rogue River from Gold Hill to Rogue River and Merlin to Galice. Merlin and Galice have Raft Rentals and Shuttle Services for day rafting trips. Guides or Outfitters are also available at Merlin located just a few miles north on I-5 of Grants Pass, Oregon. Rogue River Canyon Whitewater Rafting is a 3 day long rafting trip with camping on gravel bars or staying at Historical Rogue River Canyon Lodges. Permit system exists during summer and fall months and Rafting Guides and Outfitters are generally needed. Lower Rogue River rafting opportunities a little as the river is slower and there can be strong upriver wind making rafting difficult on many days. Rafting not recommended in this area. Visit Our Whitewater Rafting Page for greater details. Visit our Southern Oregon Coast Vacations paradise with over 600 miles of Wild and Scenic river flowing west to meet the Pacific Ocean. 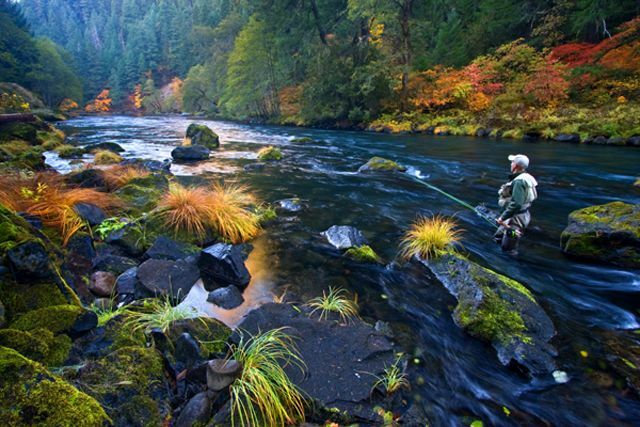 All our rivers have fishing opportunities, visit our Oregon Fishing Page for details. Outstanding Dungeness Crabbing off the port docks or in the bay. Very good Charters for Salmon, Halibut, Tuna and Bottom Fish. With quality Skippers for your best Ocean Charter experience. Go to our Ocean Charters Page for best Ocean Charter Information. All of our ports have some Ocean Crabbing but a few stand out as exceptional. Crabbing: Crabbing is open year round in Oregon’s estuaries and bays. Shellfish License is required. Female Dungeness may not be harvested. Bandon Oregon off the docks our with a Crabbing Charter. Visit Tony’s Crab Shack for Crab gear rentals and Information and a Oregon Shellfish License. Coos Bay / Charleston / Empire – Crabbing Docks and Cleaning Stations. Visit the Bites on Tackle Shop in Empire for rental gear and information. Mussels, bay, littleneck, soft-shell, butter, cockel and gaper clams are found in our bays and estuaries. Oregon Shellfish License required. Each clam digger or harvester is required to have their own bucket or container. Over one hundred fifty miles of Pacific Ocean shore line, with hundreds of hidden beaches and coast hiking trails. Only two states coast lines have all public beaches, Oregon and Hawaii, so enjoy our miles and miles of un-crowded beaches. Coos Bay / Empire / Charleston have the best clamming in our area. 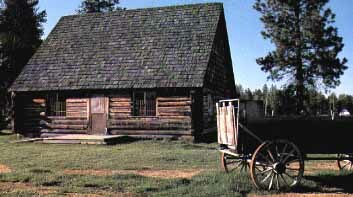 West Entrance is located Northeast of Medford, Oregon on Hwy 62 which travels up the Upper Rogue River. North Entrance is located East of Roseburg, Oregon near Diamond Lake on Diamond Lake Hwy, a stunning drive up the North Umpqua River. The North entrance can also be reached from Hwy 97 at Diamond Lake Junction then head west on of Oregon’s longest strait stretches of Hwy. The South Entrance to Crater Lake Hwy is likely the least used but also beautiful drive. Reached off Hwy 97 or Hwy 140 between Medford and Klamath Falls. The road to the entrance heads at Fort Klamath a very small ranching town. Travelers Tip enter one way and leave another. My are Hwy 62 and the Diamond Lake Hwy with Fort Klamath being a close call also. Oregon Caves National Monument located on Redwood Hwy west of Grants Pass, Oregon. The turn off to Caves Rd. is at Cave Junction which is about 25 miles west of Grants Pass. A great tourist stop in the Summer and Fall months. The Oregon Caves are at a high elevation and are snowed in during winter months. Oregon Dunes National Monument website. Located on the Oregon Coast on Hwy 101, stretching approximately 40 miles north from the Coos River in North Bend, to the Siuslaw River, in Florence. Wind-sculpted sand dunes towering to 500 feet above sea level provide numerous recreational opportunities including off-highway vehicle use, hiking, photography, fishing, canoeing, horseback riding and camping. Visitors enjoy thick ?tree islands?, open dunes, marsh-like deflation plains and beaches. The Carter Dunes Trail and Oregon Dunes overlook provide disabled access for forest visitors.